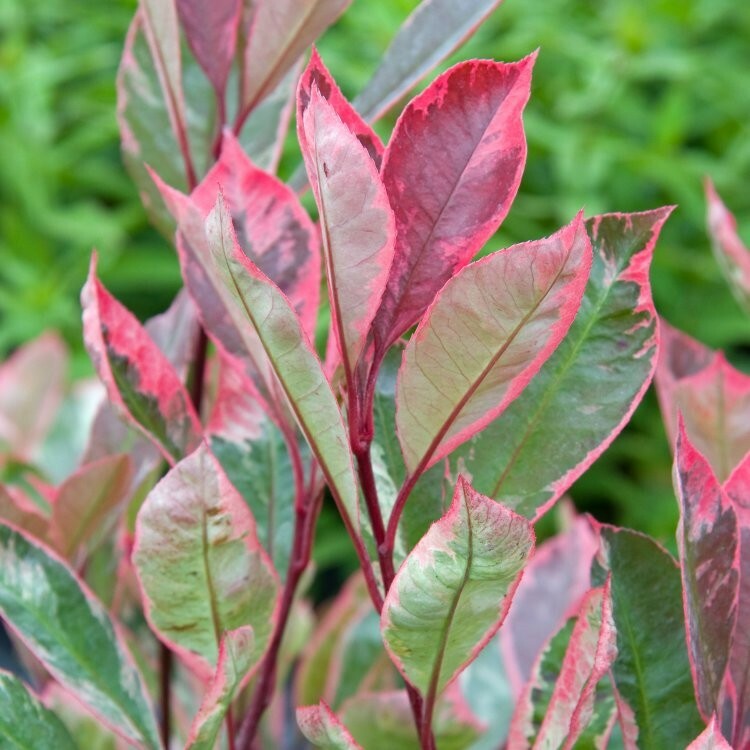 Photinia Louise is a fabulous new form of variegated Photinia with red, cream and pink leaves on new shoots. It has a neat upright growth habit, and is more compact and neater growing than other variegated photinias. Evergreen Photinias are always very popular, be it as a stand-alone shrub, standard trees, used as a backdrop to beds and borders, or for hedging. From the dwarf "Little Red Robin" variety for patio planters, to the full sized "Red Robin", "Louise" will add a new dimension to this group of plants. Will grow well in all free draining soils, is fully hardy, even in the coldest of locations, and needs no special care - it is very easy to grow. Being evergreen, it is highly ornamental over a long period, and will surprise everyone with its fabulous foliage colourations - the new growth reminds us of a good quality rose wine! Supplied in approx 2-3 litre containers at around 60cms tall.